We market your website such that it gets high quality as well as relevant backlinks and it ranks higher on the search engines. To rank the website high on search engines, we undertake an in-depth keyword research that yields most relevant and searched and lead generating keywords. Due to digitization the social media users has increased rapidly. The platforms like Facebook, Twitter, LinkedIn has a vast number of users. 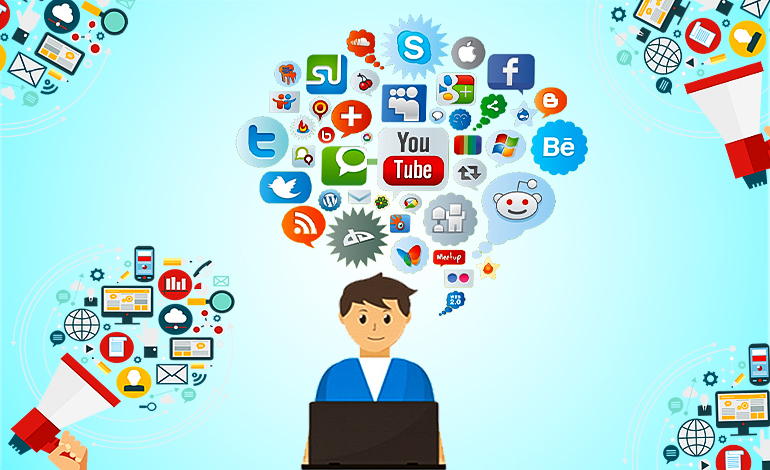 The Social Media platforms are not only attracting individuals but the corporate and businesses where they can promote their brand/product, interact with their audience directly.Social Media help companies to increase the brand awareness to their target audience and at their preferred location. At Regex Technologies we help companies to manage their social media channels by regular updates, increasing Likes and followers, designing social media campaigns.